Not long ago, a popular post was published on the Harvard Business Review site by Dan Pallotta. It was headlined “A logo is not a brand.” That is a familiar enough declaration, and not far from the phrasing I use myself on the subject of brands. I clicked on the link expecting to find a familiar argument. But what I found was very different. Dan’s smart observation is that “Brand is everything, and everything is brand.” By that he means that all the things a business does — not just its logo and visuals, but also its strategy, call to action, customer service, communications with customers, and people — combine to determine what it stands for. Thus he concludes, “Ultimately, brand is about caring about your business at every level and in every detail, from the big things like mission and vision, to your people, your customers and every interaction anyone is ever going to have with you, no matter how small.” To Dan, a brand is essentially a performance promise incarnate. But I would add that there is more to “everything” than this would imply, and it’s what determines how much a brand is actually worth. If a brand is shaped by everything its owner does, it is also shaped by everything else associated with the brand in the minds of its customers. If you think about why brands are important to marketers, the answer is simple: in a competitive context, a brand marks an offering’s differentiation from alternatives. It is what drives customers’ predisposition to buy an offering and pay a premium for it. To Dan’s point, differentiation is most meaningful when it is intrinsic; that is, based on relevant, tangible, and positive performance that can be experienced through the senses. Intrinsic differentiation can come through in the look, feel, sound, smell, or taste of a product. 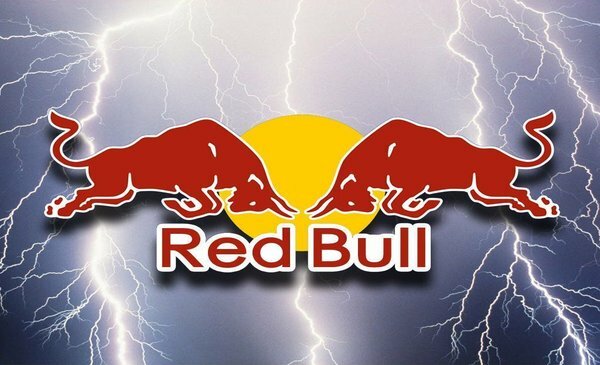 A case in point would be Red Bull, a brand that promises to “give you wings.” Whatever the effect of ingredients like taurine, any tired mind or body will receive a boost from the extra sugar and caffeine the brand contains. Similarly, Dyson became a successful global brand because its vacuum technology was demonstrably better than existing brands of vacuum cleaner. However, meaningful differentiation can also be extrinsic; that is, not based on the attributes and ingredients of the product or even of its provision. Distinctive communication, provenance, a track record of innovation or, increasingly, social and environmental responsibility can all form the basis of a brand’s perceived, positive edge. The success of Johnnie Walker in the last decade was driven by the association it established with a changing ethos in its customers. Its “Keep on Walking” message tapped into an emerging sense that success was marked not by status for its own sake but by continued personal development. Part of the triumph of this branding was in the adaptation of its execution for local cultures around the world. A brand is the ideas, the memories, and the feelings evoked every time someone thinks of the brand. When those mental associations make the associated product or service more salient, more interesting, or more compelling than the alternatives, they create value. So Dan is right, “everything is brand.” And everything a brand does should be aligned to deliver a meaningful experience. But the sensory experience of transacting business with a brand, while it may be the cornerstone of the brand experience, is far from the totality. Brand experience encompasses everything from the first impression of a brand to the latest interaction with it, from a positive association with it created by its funny TV ad to a negative one from a neighbor’s discussion of its shortcomings. It is the job of marketing to shape expectations, frame experiences, and keep as many associations as possible both positive and salient. If they do their work well, the result will be the creation of value for both brand owner and brand buyer. Compete. Win. Learn. Join 49 other marketing oriented leaders and professionals in Hollywood, California for Brand Leadership in the Age of Disruption, our 5th annual competitive-learning event designed around brand strategy.